Under the agreement the APEX and FXCM will collaborate to launch new products on the APEX Exchange. 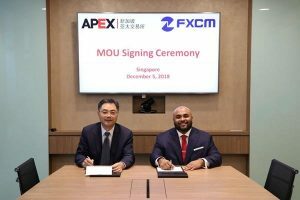 FXCM Group, an international provider of online foreign exchange and CFD trading, announced this Monday that it has signed a Memorandum of Understanding (MoU) with the Asia Pacific Exchange (APEX). Under the agreement, the APEX and FXCM will join forces to launch new products on the APEX Exchange. However, the statement did not specify what exactly those products will be. The MoU was signed by the Chief Executive Officer (CEO) Zhu Yuchen of APEX and Siju Daniel, Chief Commercial Officer (CCO) of FXCM Group on Wednesday, December 5, 2018, in Singapore. Zhu Yuchen, CEO of APEX, signing the agreement in Singapore with Siju Daniel, Chief Commercial Officer of FXCM Group. APEX was the third exchange established in Singapore with a full trading and clearing license. It covers futures and options contracts across commodity and financial derivatives products in the following asset classes: agriculture, energy, petrochemical, metal, FX rates, interest rates, and stock indices. “With FXCM’s long history and expertise as one of the world’s leading FX and CFD brokers, working alongside an approved exchange and clearing house in Singapore, we believe we can create new innovative product offerings and are enthusiastic on the many possibilities. 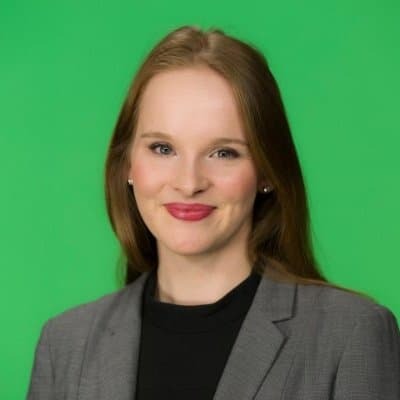 We look forward to sharing them with the market in the future,” added Daniel, the CCO of FXCM Group. The news of the MoU comes just one week after the forex broker announced that it had opened a new office in Bulgaria following six years in the country. As Finance Magnates exclusively reported the new office, which is located in Sofia, is on its way to being the largest base of operations for the broker globally.